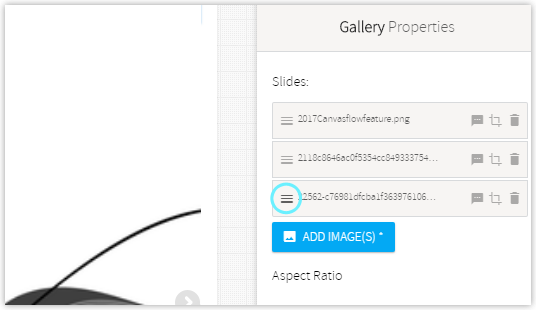 A gallery component allows multiple images to be displayed using a slide effect. Dictates how fast the gallery transitions from image to image. 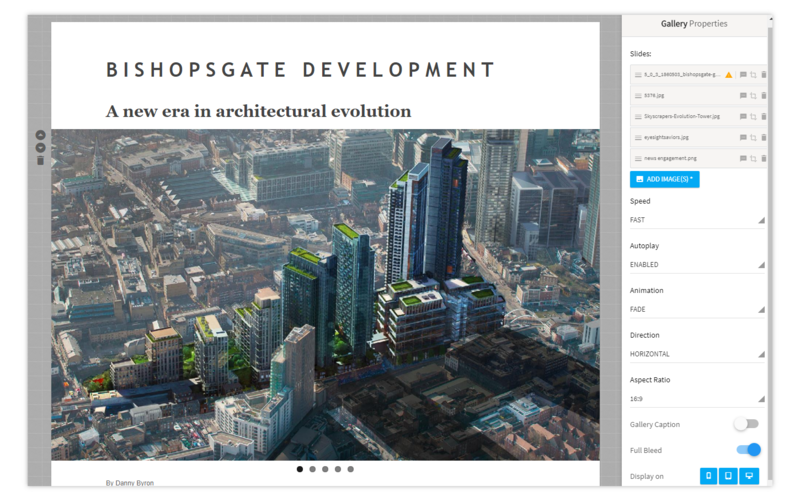 With Autoplay enabled, the gallery will begin transitioning from image to image as soon as it's viewed. When disabled, readers will have to scroll manually. With 'Slide' selected, the Direction options allows the choice between a horizontal left to right transition, or a vertical top to bottom transition. 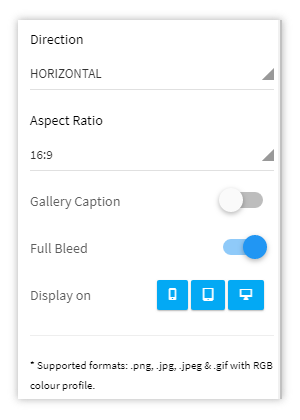 The Aspect Ratio option provides a way to easily identify the aspect ratio of multiple images in a gallery. 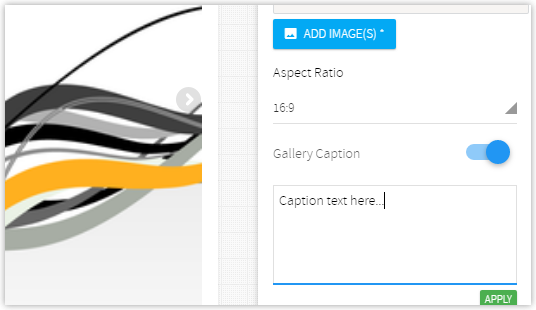 Once images have been added and an aspect ratio selected, a warning notification will appear next to the upload image if the aspect ratio value doesn't match the upload image. 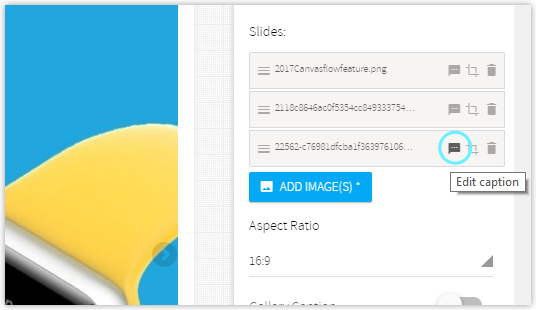 Once an aspect ratio is selected, clicking the 'Crop' button next to the image will display the cropping tool. The default crop size provided will be that of the selected Aspect Ratio value.